Sam Malek is an Associate Professor in the School of Information and Computer Sciences at the University of California at Irvine and a member of the Informatics Department. He has extensive expertise in software engineering, and has worked on software design and architecture, smartphone and mobile applications, internet and web technologies, middleware-based systems, service-oriented systems, autonomic computing systems, analysis of software dependability and security, and distributed and embedded systems. Sam Malek is an Associate Professor in the School of Information and Computer Sciences at the University of California at Irvine and a member of the Informatics Department. He is the director of Software Engineering and Analysis Laboratory and a member of DARPA’s Computer Science Study Panel. He was previously an Associate Professor in the Computer Science Department at George Mason University (GMU), where he was the director of GMU’s Software Design and Analysis Laboratory. Prior to his academic appointments, Malek worked as a software engineer in a variety of roles and on the development of numerous industrial software systems. 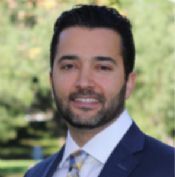 Malek has experience with testifying in both jury trial and deposition as an expert witness in the fields of computer science and software engineering. He has served as a computer science expert witness and drafted numerous reports in high-stakes intellectual property infringement, breach-of-contract, and software dispute matters. As a renowned computer science expert, he has published on a variety of topics, served on the panel of many scientific boards and journals, and frequently spoken at scientific gatherings. Malek conducts research in the field of software engineering, and to date his focus has spanned the areas of software design and architecture, smartphone and mobile computing, internet and web technologies, middleware, service oriented computing, autonomic computing, software dependability and security, and distributed and embedded systems. His research has produced more than 75 manuscripts that have been published in peer-reviewed scientific conferences and journals. Malek frequently serves as organizer, program committee member, and speaker at premier scientific gatherings and conferences. He is currently an associate editor of the Springer Journal of Computing. Malek received his Ph.D. from the Computer Science Department at the University of Southern California. He also received an M.S. degree in Computer Science from the University of Southern California, and a B.S. degree in Information and Computer Science from the University of California Irvine. He has received numerous awards for his scientific contributions, including the National Science Foundation CAREER award and GMU Computer Science Department Outstanding Faculty Research award. He is a member of the Association for Computing Machinery (ACM), ACM Special Interest Group on Software Engineering (SIGSOFT), and the Institute of Electrical and Electronics Engineers (IEEE). Prof. Malek has over fifteen years of experience working as a software engineer, a software architect, and a computer scientist in both software industry (IBM and Boeing) and academic research labs (University of Southern California and George Mason University). Prof. Malek has served as software expert in more than fifteen cases, including more than ten patent infringement cases. He has been deposed and testified at trial as an expert witness multiple times, including in patent infringement and criminal cases. - Programming platforms: Eclipse, Visual Studio, .NET, Java EE, CORBA, Enterprise JavaBeans. - Mobile devices and applications: Android, iOS, iPhone. - Operating systems and servers: UNIX, Linux, Windows, Mac OS, Apache. - Databases: RDBMS, SQL, MS SQL Server, Oracle, MySQL. - Development methods: lean software development, agile, object-oriented, aspect-oriented programming, component-based development, COTS integration, requirements engineering, spiral model, and UML. Prof. Malek has extensive experience teaching undergraduate and graduate courses on software engineering, software architectures, and service-oriented architectures. Prof. Malek received his Ph.D. in 2007 from the Computer Science Department at the University of Southern California. He previously received his M.Sc. in 2004 from the Computer Science Department at the University of Southern California, and his B.Sc. from the Information and Computer Science Department at University of California, Irvine.